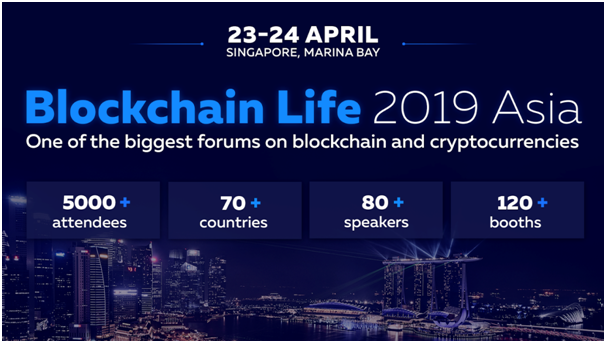 On April 23-24 in Singapore, the global forum Blockchain Life 2019 welcomes 5000+ attendees and top companies at its third edition. The global forum 2019 highlights four significant topics: Blockchain, Cryptocurrency, StartUps and Mining. More than 5000 people including industry top speakers, funds and investors, blockchain startups and world companies, crypto traders, developers and miners - all are going to join Blockchain Life 2019 to discuss the latest trends and ways of earning money in the crypto market. The global forum is organized by the world listing agency - Listing.Help. The general partner of Blockchain Life 2019 is ELVN - a new, convenient and safe cryptomessenger, that pays its users for activity.